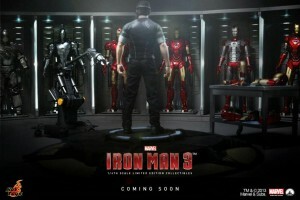 One of the oldest and by far the coolest rumours surounding Iron Man 3 has finally be confirmed thanks to the latest masterpiece toy line from Hot Toys. 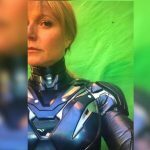 About a year ago we heard rumours from the set of Iron Man that the new armour we see in the trailer isn’t mark 8 but it was actually Iron Man mark 42. 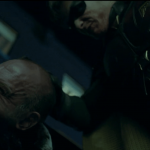 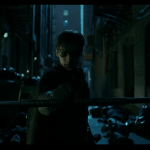 It had some credability but was almost too much to take in. 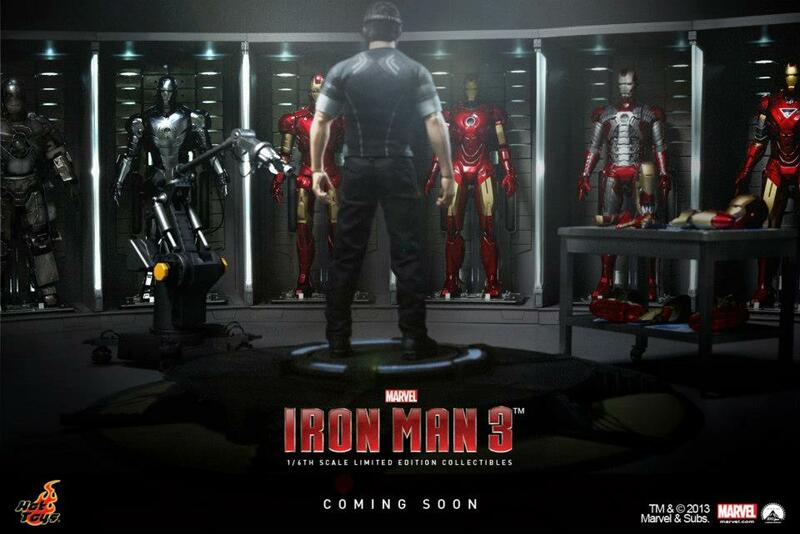 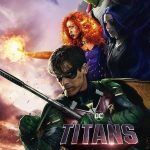 Each movie so far has had two or three armours this one will possibly feature 34 new styles along with Iron Patriot. 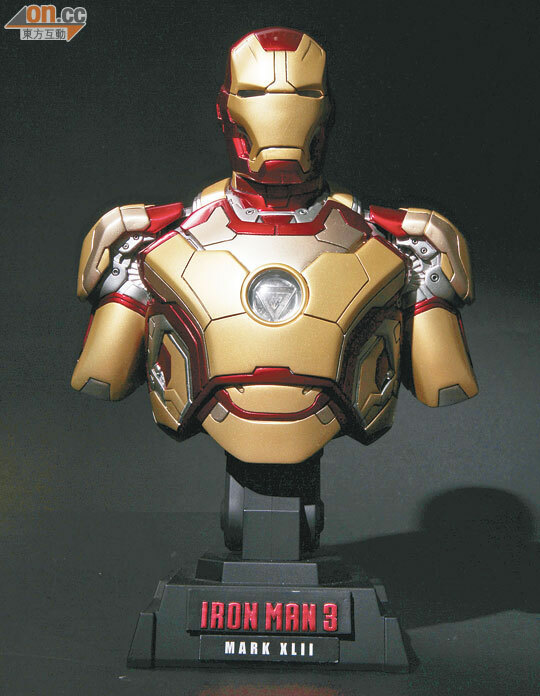 The confirmation comes from the plack on the latest Iron Man bust from Hot Toys. 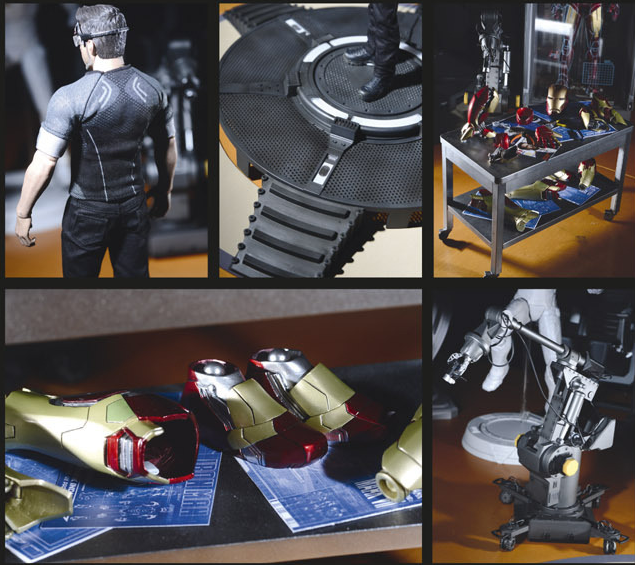 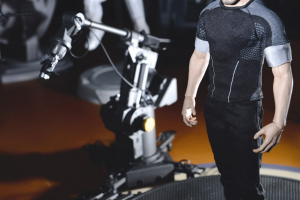 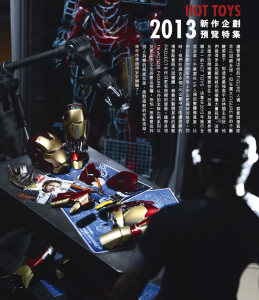 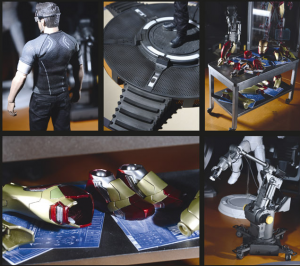 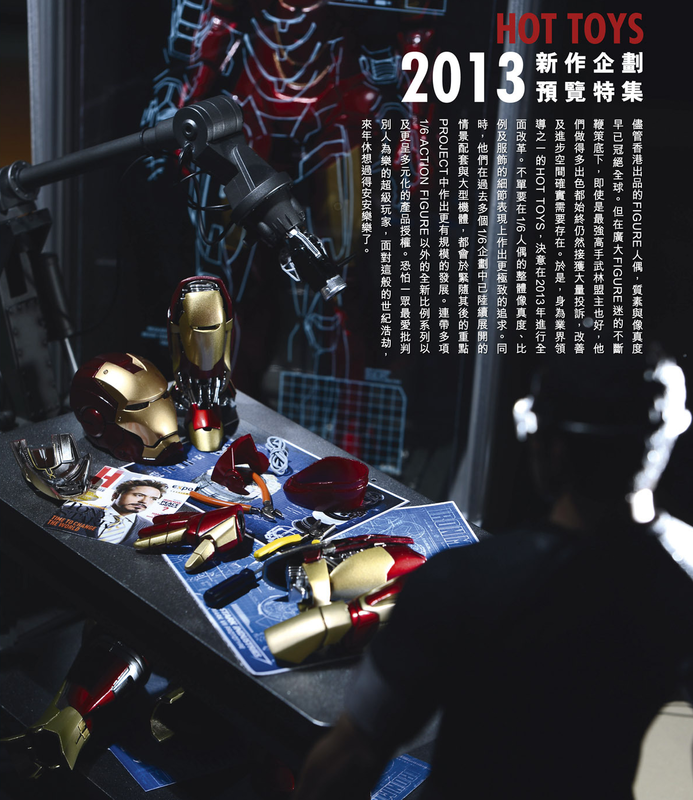 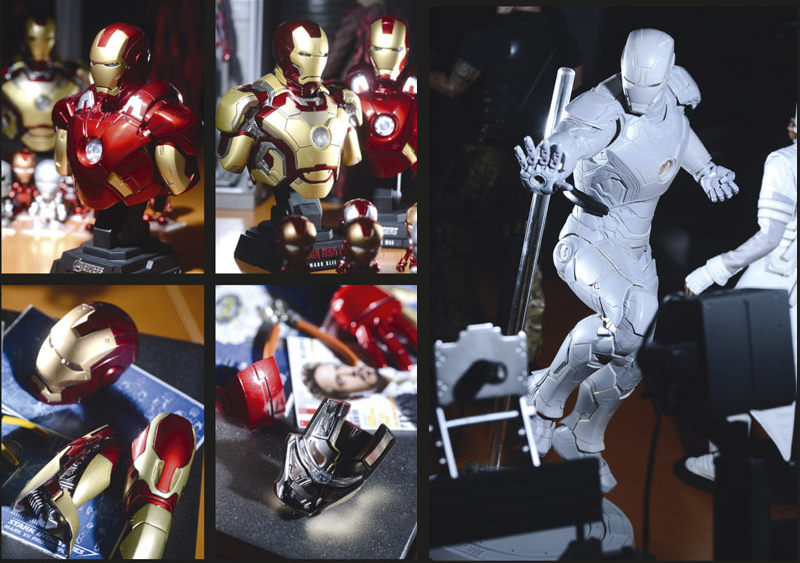 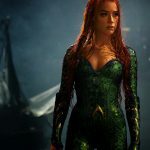 Other pictures show the whole lab and racks of armour which would probably cost over $1000 in total and thats not including the Gantry they released with Iron Man 2. 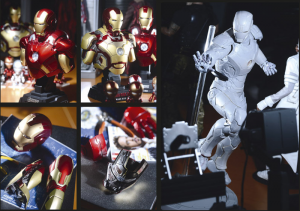 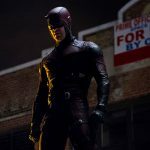 The new Mark 42 armour has really grown on fans and we can only speculate on what the other 34+ armours from the movie might look like.